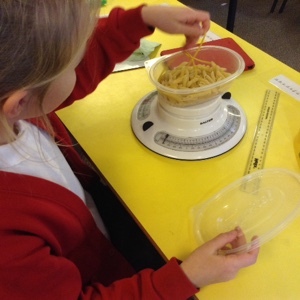 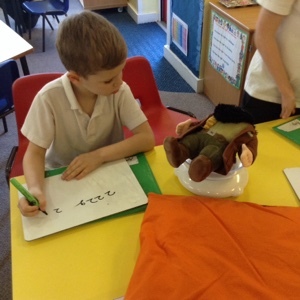 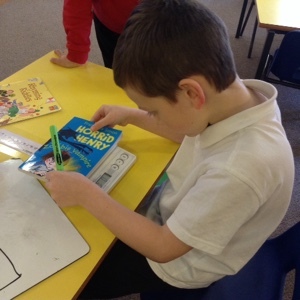 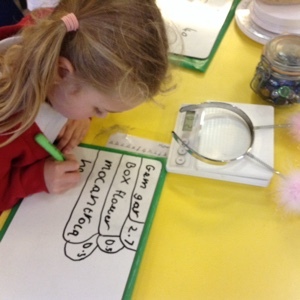 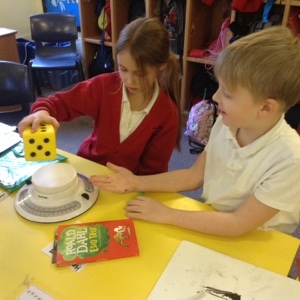 SPS Year 2: We Were Weighing! 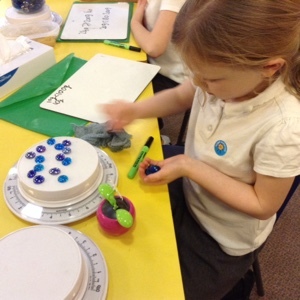 Some practical exploration of mass this afternoon as part of the Maths rotation. 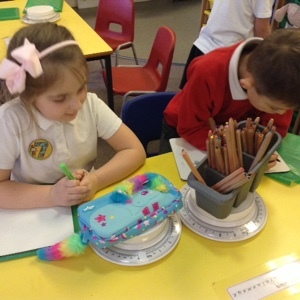 We used a range of equipment including balance scales and electronic ones too. 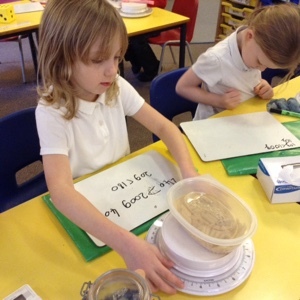 To compare the weight of different objects, we used the Charlie Crocodile symbols < and >.